Once Upon a Time is currently airing its fifth season on ABC, but Adam Horowitz and Edward Kitsis already have an idea on how the series will end. Zap2It shared the latest comments from Horowitz and Kitsis before Once Upon a Time aired its special double block of episodes on Sunday night. There is definitely more drama ahead on the series, but the series is moving towards an ending. Horowitz did not reveal when the series will end, but it was revealed that three main relationships on the series will continue to be the focus on the drama until the series does end someday. Edward Kitsis teased a bit about the series’ relationship. Neither Horowitz or Kitsis said anything about when Once Upon a Time would end. Is the end for this series coming soon? Tell us what you think. 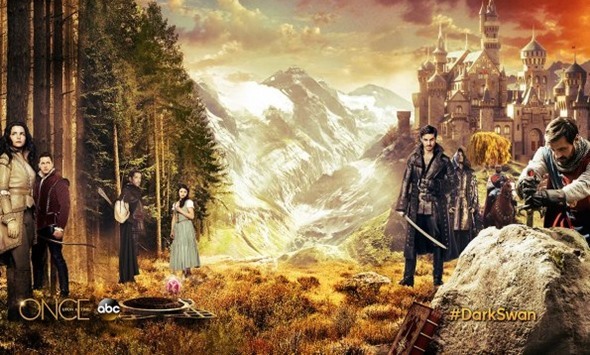 Once upon a time is my favourite TV show ever. I love it and Sunday nights are my favourite nights of the week. I love the sixth season and I’m definitely cheering for captain swan. I want to promote a season seven. I think I speak for all the once upon a time fans when I say, I love the show and I don’t want it to end anytime soon. Do they know WHEN it will end? Or if it’s any time soon?